I found this Crackle Nail Polish while shopping for earings at the mall. 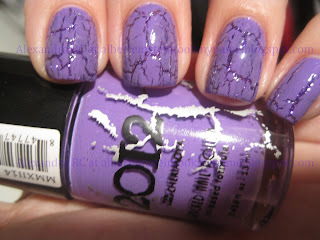 I have never heard of the brand, but it was lilac crackle, something I had never seen before, so I had to try it over one of my favorite purple glitter nail polishes. Thanks! I really like the color, but I'm not sure if I like the crackle effect it has.